Okay, you’ve got your wonderful story idea. This is going to knock the socks off Hollywood. It will make Dennis Potter turn his grave with the shame of never having thought of anything so great; Jimmy McGovern and Paul Abbott are going to fight for you on your doorstep; the BBC will want you to make it into an epic radio series. Back on planet earth, where do you start? Snyder (2005) suggests that the very first thing you should write is a log-line. But what is it? 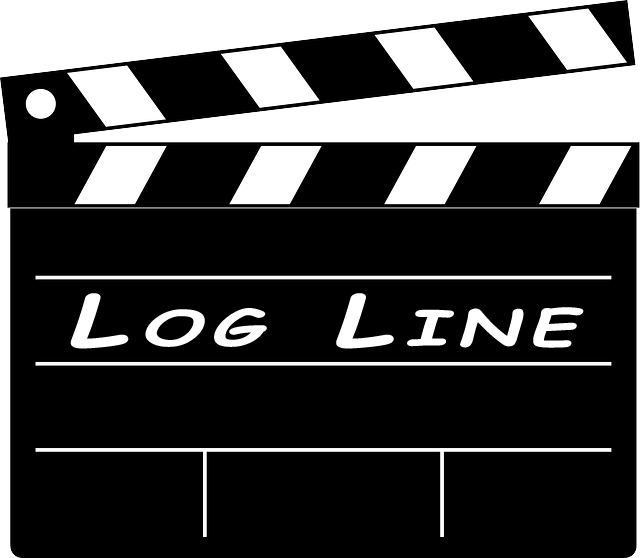 A log line is a one or two sentence description of your script. Although it is used primarily in the film industry, it is a really useful tool when writing any script. Why? Because is sets the tone, tells us what the theme is and what the script is about – well, that’s the theory. Wherever “screenplay” appears in the description, replace it with “script” because the principle is equally valid whether you are writing for stage, screen or radio. In fact, novelists and short-story writers will also find it useful. Now we’ve got some academic definitions and descriptions, you will want to know how go about writing your log line. Meet Elle Woods. She’s a lawyer with a heart of gold…and a mane to match! Over 3000 Islands of Paradise. For Some it’s A Blessing; for Others… it’s A Curse. Strangers shouldn’t talk to little girls. Can you identify the films from the log lines? Some of the above will be obvious, some less so. If you are stuck, google them. The Christopher Lockhart pdf gives us three-hundred of them to think about. Various writers analyse the content of log lines in their own way. Leaving some of the dubious grammar and punctuation aside, these descriptions should give a rough idea about what is expected. Back to your story. Before writing your script (short story or novel), you will have a fair idea of what it’s about. You will have an idea of the message you want to get across (the theme). You will know your hero or protagonist. You will know your antagonist, which doesn’t have to be human – as in 2001, a Space Odyssey (a super computer), Cast Away (the environment), The King’s Speech (a personal affliction). You will know what conflicts or challenges your character faces. Let’s take an example from Lockhart’s epic list – The Bourne Identity. Jason Bourne is a highly trained assassin but he has lost his memory. This is the “who” of the story. He is the protagonist and we know he’s an assassin (type of hero). The government want him dead. The government is the antagonist. Jason struggles to find out who he is and avoid the assassins who are sent to eliminate him. These are the conflicts and challenges. The themes within the film are about finding your own identity (something many of us struggle with on a metaphysical level) and those who should be your allies being out to get you. These are my opinions; you may have your own. It also has the irony that Blake Snyder wants – his employers are trying to kill him. You may wish to look up the log lines offered on IMDB. You may wish to try writing your own. You may like to revisit the examples given above and decide which are good. Why do you need a log line? Imagine yourself on the ground floor of a hotel, awaiting the lift (elevator to… well, most of the rest of the world). The doors open and you enter. Just as the doors start to close you hear “hold the elevator!” You press the button to keep the doors open and in dives the producer or director of your favourite film. “Oh yeah! What’s it about?” she says. You have, until she gets out at her floor to tell her. A killer log line should give her enough information to know whether or not she would be interested in reading your script. A garbled half-description of the story won’t. You’ve grabbed her attention and she wants to see a treatment and the first ten pages this time next week. At least you know your protagonist; you know their challenges and conflicts; you know the theme; now you can focus on writing your treatment. Snyder, Blake (2005), Save the Cat. Michael Wise Productions, California. Seger, Linda (2010), Making a Good Script Great. Silman-James Press, California. We’ve all seen it on TV. The comedy character that uses words in completely the wrong context. Well, I’ve got news for you; those people appear in real life as well; those real-life characters are often professionals; more often, those people are writers. The example that gets up my nose more than anything else is the use of “comprise” and any of its derivatives. Let me ask you a question. What does “comprise” mean? If I bet every one of you a week’s wages that you can’t give me a suitable synonym and you all accepted the wager, I’d be very rich. At least ninety percent of you would not be able to tell me the correct definition. Congratulations. You are among the ninety percent who would be wrong. The word “comprise” is defined as “include” or “contain.” So you can see that, used in a sentence, “comprise” or any of its derivatives will never be followed by “of” because it will not make sense. Always ensure that you are certain of the correct usage for any unfamiliar words. It’s no accident that the reading age level of our most popular newspapers is about eight. It is not that The Sun is marketed at eight year olds. It is pitched at that level to make it readable to the maximum audience. Pick up a literary prize winning book and try to read it. You will (often) find it a much higher reading level that, say, a Mills and Boon or a popular crime novel. That is because they are aimed at a different readership. You certainly don’t need to be a Mensa member to read Fifty Shades of Grey. Those of you who have read the whole Harry potter series will understand the importance of this principle. The Philosopher’s Stone was intended for a readership of between ten and eleven, while The Deathly Hallows was almost an adult novel. So, decide on the reading age of your target audience and then knock a few years off. To appeal to a mass market, you need to set the level at about 12. It’s quite easy to gauge these days since Microsoft Word and, I’m sure, other popular word processors, has a “Readability Statistics” function. Back to our comedy characters again. The office manager asked his staff to keep him appraised of the situation. Well, he may have done so but he was demonstrating that he is not as educated as he was trying to let everyone think. You see “appraise” means to evaluate, review or judge not inform. What he should have asked was for his staff to keep him apprised of the situation. The most irritating incorrect word for me is the use of “less” when the writer really means “fewer.” We’ve all seen the signs at the checkouts that say “10 items or less.” Enough to make me want to throw up. Will they ever learn that “less” applies to an analogue quantity (something that can’t be counted) while “fewer” is the word to apply to digital quantities (those that can be counted). There are plenty such pairs of, supposedly, confusing words. Since there are many websites that list examples, I won’t repeat any more here. Just Google “most confused words in the English language” and you’ll find plenty. OBSESSION WITH USING PASSIVE VOICE. When you perform a grammar check on your word document, you may receive a warning that the highlighted phrase is in passive voice and that you should consider rephrasing. I suspect that many of you will not know what this means. Let me explain. We are told who did what to what. Simple and understandable. This is active voice since the object is doing something. Therefore, the mat and the room have become the subjects but don’t actually do anything; rather, something is done to them. For some reason that completely escapes me, this has now become common in the field of journalism. There seems to be an obsession with turning every report into a series of passive sentences to the extent that they become clumsy and almost nonsensical. I’m not saying that passive voice is never desirable. A full discussion of this is beyond the scope of this rant. Do, however, minimise the passive voice content of your writing. I have been a member of a number of writing groups over the years. As an actor as well as a writer, I get asked to cold read quite a bit. Few things irritate me more, in these situations, than a badly formatted script. It is hard to read and reflects badly on my skills as an actor. If you are going to submit any form of written work, find out what the industry expects. There is no excuse for ignorance in this matter and ignorance will just mean that you have wasted your only opportunity to get noticed. For example, manuscripts for novels should be double-spaced typed in black, 12 point Courier with a first line paragraph indent of five characters. All margins set at 1” (although I still remember when 2” left margin was the norm) and left justified. Every page should be numbered. However, some publishers may have different requirements – always check. There is a reason for this specification – it makes the manuscript easy to read and allows space for comments to be written in by the reader. If you submit a manuscript that is single spaced, typed in an 8 point fancy font it will scream amateur. Guess where it will end up? It will go straight in the bin. So, there you have it. 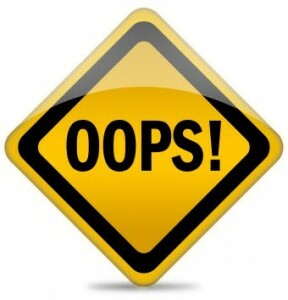 Five writing mistakes that will definitely make you look like a rank amateur. Even if you are, you don’t really want people to know, do you? Oh, if I’ve made any mistakes, please tell me. There are a few things that annoy me about some writers and, in particular, many journalists. These are same things that annoy me about the anonymous writers of marketing materials and signs. These same things annoy me even more when they come from the pen/keyboards of those who are trying to educate us. But, one of those things that annoy me most is the incorrect use of words. Even more does it annoy me when the culprit resorts to using a word that they think will make them seem educated when it actually demonstrates the opposite. Take, for example, the use of the word “which” to introduce a restrictive clause. I walked down the road. I walked down the road that had fresh tarmac. We are in no doubt about which road you walked down. I walked down the road, which had fresh tarmac. See? The sub-clause can be removed and the story still makes sense. So the general rule is, if the sub clause can be removed without detracting from the details, then we use “which” and it is always preceded by a comma. If it is absolutely essential and cannot be removed then the word is “that” and there is no comma. Unfortunately many people who should know better use the wrong word, generally thinking that “which” sounds more educated. It doesn’t. The words do not mean the same thing and are not interchangeable. Now, I can easily forgive the layman for the incorrect use of this word. However, journalists and (especially) estate agents who bastardise this wonderful word should be taken out and shot. And when it used incorrectly on the web-pages of a university English department then someone should be hung-drawn-and-quartered! the ground floor comprises two reception rooms and a kitchen-diner. See. It should never be “comprises of.” Even just writing it as an example makes me feel like vomiting. I spend a lot of time looking at estate agents websites. Almost without exception they will use “comprises of” in their descriptions. I have seen the incorrect use of this word in magazine articles, newspapers, and marketing material. I have heard news readers use it and MPs. I have even seen this bastardisation on the websites of university English departments – yes, more than one but I won’t say which. This is the perfect example of a word people use because they think it sounds educated but they have no idea what it actually means. I have only ever seen one supermarket get this right and yet it is an official sign that is part of their overall marketing strategies. Why? Quite simply because “item” is a digital term and “less” is an analogue term. An explanation? Analogue quantities are infinitely variable like time, weight, distance. Digital quantities can be counted by number such as balls, cups, books, items. So, I may be able to work fewer hours but I will have less time to complete the tasks. So, you now have my permission to take a permanent marker to the supermarket and cross out the word “less” on these signs, replacing it with “fewer.” Tell them a grammar-nazi told you that you could. So What’s All This Fuss About Act Structure? Part Three. It has been said that the three-act structure has been the basis of all successful stories (particularly script) for three-and-a-half thousand years – since Aristotle in fact. 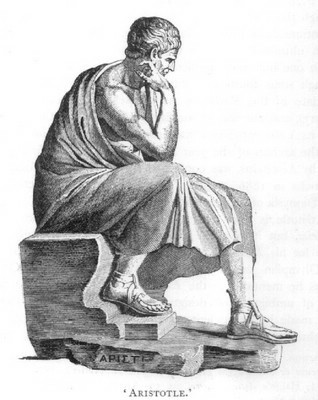 One wonders then, if Aristotle’s supposed hypothesis was so important, why the majority of scripts written up to the nineteenth century were in five acts; where does the one act play fit in? Why will you never see in any screenplay the headings “Act 1”, “Act 2,” and “Act 3” despite the industry’s obsession? Now, if you think that I am about to rebel and tell you that structure is not important, you would be wrong. Structure is all important. However, the act structure (particularly when it comes to screenplays) is quite arbitrary. Basically, the structure consist of a beginning, middle, and an end! Genius!. Granted, he does go on to describe some of the necessary elements of those parts, but the three-act-structure as we know it never make an appearance. I already stated in the first part of this series that the five acts, which Elizabethan plays comprised, were mostly there for practical reasons to do with trimming candles. It is also suggested that Shakespeare may not have written in acts at all but that these were later added by the printers. Shall we take a look at the arbitrary nature of act structure? I will cite some examples. J B Priestly wrote this popular piece of work with two act-breaks. Act one ends when the Inspector returns to the dining room, thus interrupting Sheila and Gerald’s argument. Act two begins with the Inspector interrupting Sheila and Gerald’s argument. Act two ends when Eric enters immediately following the revelation about his involvement with Eva. Act three begins when Eric enters immediately following the revelation about his involvement with Eva. Arbitrary? When performing An Inspector Calls, it is obvious that this is really a one act play, albeit over an hour and a half long. The act-breaks are merely there to give the audience a break, although why two breaks in a play of less than two-hours is a puzzle. Top Girls was originally written in three acts and I still find that structure clearer: Act One, the dinner; Act Two, Angie’s story; Act Three, the year before. But two intervals do hold things up, so in the original production we made it two acts with the interval after what is here Act Two, scene two. Do whichever you prefer. By traditional three-act analysis, the final act of the drama would seem to be almost entirely missing from this film. Tarantino famously stated that every film should have a beginning, a middle, and an end but not necessarily in that order. Hence Pulp Fiction. These are just a few examples. Many films are written with non-linear time frames in order to comply with the three act structure and get all the plot points in the correct place. This is not a criticism, just an observation. There are many examples in film and, especially, stage where the act structures, as written, bear little relevance to the story structure. There are some films that are so complex in nature that they almost defy any attempt to analyse them in three act form (I believe Casablanca falls into this category). As I implied in part one of this series, you can analyse almost any script in terms of the three act structure and point to the plot points as you interpret them. However, if Aristotle was so right, why weren’t the medieval or Elizabethan plays written in three acts? You could even analyse almost any script in terms of the classic five-act structure. You could make them fit any paradigm you like. Hell, just to prove my point, I may even publish an analysis of Star Wars in terms of its eleven-and-a-half acts! Well, don’t we need structure to write a script? The answer is a resounding YES! But the three act structure is simply not enough. You can decide on your inciting incident and place it before page ten; you can place your major turning point on page 25; your crisis point can go on page 60; a second major plot point can appear on page 90; then you can race towards the climax and denouement before page 120. But how do you fill the space between them? Are you going to be tearing your hair out because you can’t weave a story into “the difficult second act?” How do you do it without sweating blood? I know but that’s for another blog. So What’s All This Fuss About Act Structure? Part Two. An Obsession in Three Acts. In the last part, I took a look at the origins of act structure and described a typical Shakespearian five-act story, even though Shakespeare probably never wrote in acts. In this episode, we will look at the Holy Grail of screenwriting – the Three Act Structure. Now, Syd Field (the self styled guru on screenwriting) is probably the man responsible for the lie of the three act structure (if anyone knows of an earlier writing on this, please let me know). In his book “Screenplay,” he gives us the new paradigm for screenplay structure, telling us that the middle and longest act is often tedious to write and watch. He also told us that it can be divided into two sections, thus the structure becomes Act 1, Act 2a, Act 2b, Act 3. Well, excuse me, Mr Field, but isn’t that actually a four act structure! It was Syd Field who has made us believe that the second act is the most difficult to write! Well it is if you follow this structure because the second act only has two elements described – the mid-point and the second act turning point or plot point! Robert McKee (Story) did us no favours in furthering our obsession with this structure, either. Now the guru who is Syd Field can be found on IMDB. His screen writing credits include Mnemosyne (story concept only), three episodes of “Men in Crisis” and… erm… that’s it! Heard of them? No, neither have I! However, his text-book credits are numerous and essential reading on most writing courses. The problem is that they all offer us the same gifts presented in different wrappers. Let’s look at the example of Star Wars. Yes, I know everyone uses it as an example but that’s because (almost) everyone has seen it and with good reason. It’s a perfect specimen of an adventure story in the Greek epic style. In its opening few scenes, we learn that there is a war going on in outer space and that Princess Leia has escaped with the plans to the death star – Lucas breaks the number one rule of storytelling to do this by telling us in the opening crawl. Princess Leia is captured but manages to send a message out via two droids. Luke, a young farmer, lives with his aunt and uncle on a desert planet. Luke would like to join Starfleet academy but is prevented from doing so by his uncle (echoes of Parcival anyone?). They buy the droids. One of the droids goes missing to search for Obi-Wan. In his search for the droid, he is attacked by the Sand People but is rescued by Ben Kenobi. Luke finds out about the war and Leia and Obi-Wan. Luke then discovers that his family have been killed by soldiers looking for the droids. This is Lukes turning point. The point where he has no choice but to enter the adventure. Luke and Ben find Hans Solo and try to persuade him to take them to Alderaan. After an altercation with some locals, they all escape in Solo’s ship, The Millennium Falcon. They try to find Alderaan only to discover that it has been destroyed. They are pulled into the Empire’s space station where Pricess Leia is being held prisoner. They manage to find the Princess and release her. In trying to escape, the group end up in the refuse treatment plant and come close to being killed. They are rescued by the ingenuity of the droids. Before they can escape, they have to battle with storm troopers and, eventually, the evil Darth Vader. In order to let the others escape, Obi-Wan sacrifices himself in a battle with Darth Vader. The rebel forces assemble and train. Hans Solo takes himself off (well it’s not his fight and he has done what he was paid to do). Unknown to them all, Darth Vader has followed them in the death star and will be more than happy to destroy the rebels planet. They must destroy the death star or be destroyed. A battle takes place in space above the planet. Luke must make it to the vulnerable spot that they have discovered on the death stars plans and destroy the space ship. With seconds to go, it looks as though he will be prevented from this by Vader, who has joined the battle and is in hot pursuit. Hans Solo saves the day as, after a change of heart, he returns to help them. After hearing Obi-wan’s voice, Luke puts away the computer and uses “the force” to aim his weapons and successfully destroys the death star. All three are awarded medals in a ceremony and the forces of good have won the day. There you have it. Star Wars in three acts. However, if you look closely, you will see flaws in the analysis, even in this perfect adventure movie. As I pointed out last time, such analysis is akin to Nostradamus’s predictions – easy to shoehorn the facts into the belief after the event. 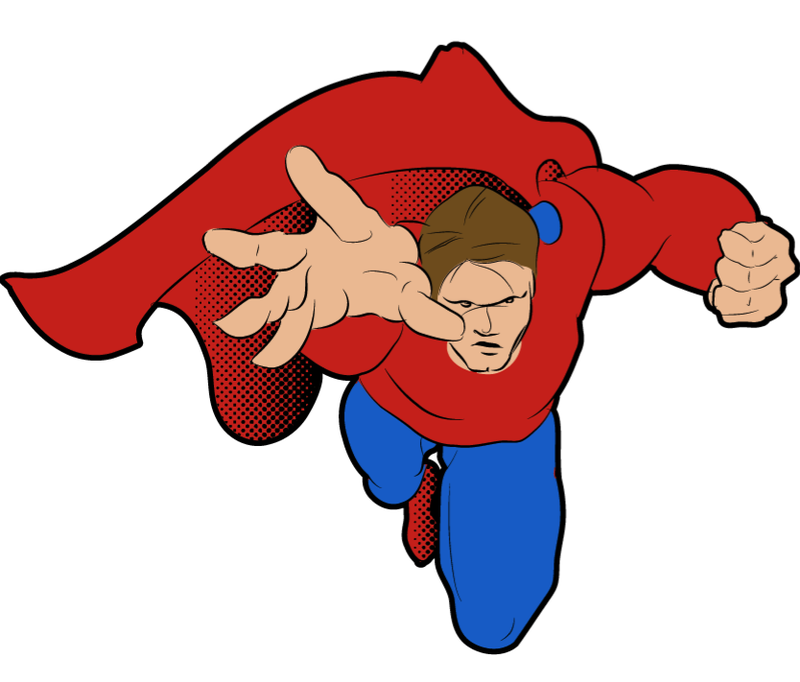 In the third part of this series, I will show you what is really wrong with the three act structure and why, although it is a useful starting point, it is an inadequate model for writing scripts. The next part may go some way into explaining why so many excellent writers never even have a script read, let alone produced.